Ms. Holden had symptoms for nearly three years before receiving her official diagnosis of MS. Since that time, Ms. Holden has become a member of the “government system” of health care, relying on Medicaid/Medicare and Social Security disability benefits. Not one to shy away from adversity, Tina has launched a crowdfunding campaign on Indiegogo to document her experience with the nation’s health care system. 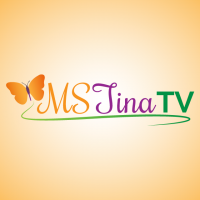 The webisode/documentary/reality series, MSTinaTV, will also chronicle Tina’s campaign to ensure that everyone – regardless of age, culture or economic status – receives the quality medical treatment they deserve. “It is my goal and dream to shine the light, so that each and every person and company in the U.S. understands that NO one should experience fear or shame about seeking health care assistance, even when they’re not insured,” said Ms. Holden. The funding received will pay for the pieces necessary to film a documentary/reality webisode series along with other types of products that may be created. The funding will be able to briefly compensate the quality team of talented professionals who, in part, have access to the equipment needed to produce the series, along with their talent, expertise and experience. Angel investors helping fund the MSTinaTV webisode campaign to the next level will be eligible for perks such as thank yous, supporter credits in the webisode titles, digital copies of the series, production credits, dedications and more. Tina Holden and the MSTinaTV documentary film team understand that not everyone may be able to give money to help the webisode project. They ask that those who cannot give monetarily help by spreading the word about the MSTinaTV Webisode/Documentary/Reality series online through social media such as Facebook, Google+ and Twitter and invite friends to give to or share this Indiegogo fundraiser. 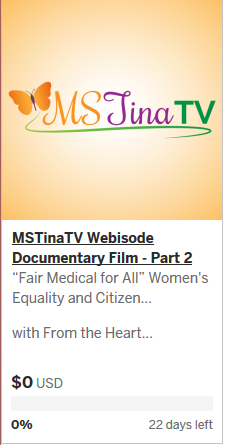 Include #MSTINAtv and #Fairmedical4all in all posts. For more information about the Indiegogo campaign, visit http://igg.me/at/MSTinaTV2. Tina, Wow, I must say I am impressed! I just met you a few days ago or so and until now I had no idea all that you are doing and involved in, all while you are not feeling good yourself! It is so wonderful what you are trying to do and I hope that your programs take off and fly with wings of all the people you will be / are helping. Thanks for the kind words Dee!